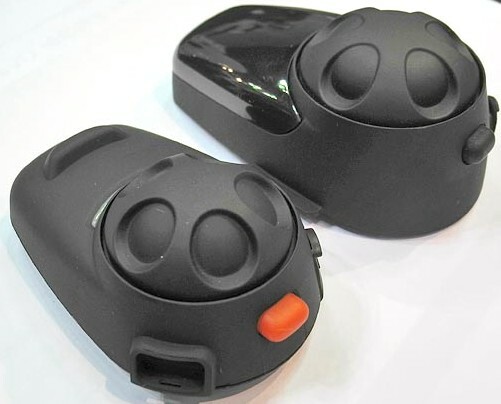 Mr Mobile is regularly asked what is the difference between the Sena SMH 5 and Sena SMH 10 Bluetooth Motorcycle Intercom headsets. Here are our top 12 key differences between two fantastic bluetooth intercom headsets from Sena. The SMH 5 model is primarily designed with scooter riders in mind, whilst the SMH 10 is designed for motorcycle riders and groups. The SMH10 supports 4-way multipair conferencing, in other words, 4 riders can talk together. The SMH 5 is small and lightweight compared to the SMH 10 whilst the larger jog dial wheel on the SMH 10 is easy to use with gloves, turning volume up down, and most importantly easy to put on standby when the Misses is talking too much. The SMH 10 will give up to 900 metres intercom between riders whilst the SMH 5 will provide up to 400 metres intercom between riders. The SMH 10 has great optional clamp kits readily available to suit different helmets including clamp kits such as BYO earbuds for riders who wish to use your own. The SMH 5 will give you up to 8 hours talk time whilst the SMH 10 will give you up to 12 hours, as easy full days ride. The SMH10 supports VOX whilst the SMH5 does not . The SMH 5 has an optional detachable microphone from the clamp kit so if you just want to listen to music or your GPS navigation then you don’t need the microphone bobbing around in front of your chin, of course this means you cannot talk. The SMH 10 helmet clamp kits will allow riders to use non Bluetooth devices via an input 3.5mm jack so iPod’s or other MP3s which don’t have Bluetooth can still be connected. Whatever your requirements the SMH5 or SMH10 will ensure a more relaxed, safe and enjoyable ride. Both models are software upgradable via the micro USB port, and are supported by a 2 year warranty.